The Nissan Pathfinder offers high performance driving in more ways than one. These popular seven-passenger SUVs are built to withstand any weather condition, thanks to their 4x4 drive system. They also come equipped with high-tech performance features, which allow Newport News drivers to customize their experience. The are many advantages to choosing a crossover SUV as your next vehicle. They incorporate many of the benefits found in both SUV and sedans, seemingly integrating them to give drivers a great driving experience. The 2018 Rogue is a compact crossover designed for those who want a large vehicle comfort in a smaller package. You may not think a midsize sedan would be known for a wide variety of performance features, but you will definitely think differently after you take a look at the Nissan Altima. It is one of the most popular cars in its class for that reason and many more. The 2018 Nissan Maxima is top ranked in the large car market for its base engine. The Maxima's fuel economy is unrivaled in the market with handling that is smooth and efficient across all roads. While it is a luxury-style vehicle, the price is far below the cost of other vehicles. It lets you go around corners with easy. Acceleration is great with the Maxima due to its 3.5-liter V6 engine that puts out 300-horsepower. 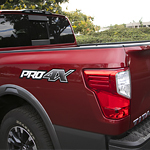 While towing a trailer, recreational vehicle, or boat can be tricky, the 2018 Nissan Titan provides you with the tools you need to get to your destination safely. It contains advanced technology that can improve your stability no matter what type of environment you're in. 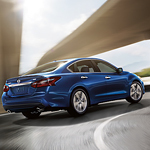 The 2018 Nissan Altima is a popular option among consumers looking to purchase a midsize sedan. The model is an excellent choice because it offers a spectrum of exterior, performance, safety, and interior features. We have summarized a few of the 2018 Altima’s interior features below. What’s under the hood of the Nissan Rogue? A popular compact SUV like the Nissan Rogue doesn’t have to sacrifice power for efficiency. Here are just some of the options available on the 2018 Rogue. The Rogue Hybrid model works to improve your fuel efficiency from when you start the SUV. When you’re driving in traffic, frequent stops can be normal. Whether you’re stuck in traffic or at a stoplight, the system can turn off the engine while idle, and restore the speed when you’re ready to go. The Nissan Pathfinder storms into 2018 offering a myriad of performance features designed to impress. This seven-passenger SUV offers an available Intelligent four-wheel drive system featuring a variety of specific driving modes designed to tackle any sort of road condition. The hill start assist and hill descent control systems work together to tackle any challenging situation. By preventing rollback and automatically adjusting brake pressure and vehicle speed, this feature will work hard to give drivers the ultimate peace of mind while on the road. Should You Be Using Synthetic Motor Oil? When you bring your vehicle into our service department at Priority Nissan Newport News for an oil change, you should know the difference between conventional motor oil or synthetic oil, also known as full synthetic motor oil. Synthetic oil is a specially formulated motor oil that provides the highest degree of protection and performance for the engine. Many manufacturers of newer model cars actually require the use of synthetic rather than conventional motor oil. Compared with conventional motor oil, synthetic oil provides the best protection for engines that have over 75,000 miles. 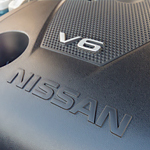 The Nissan Maxima is a popular vehicle choice for those looking for a luxury sports sedan. This vehicle is equipped with interior features that will keep you comfortable and happy when you are out on the road.